Raising a gifted child is full of surprises. Emotional intensity, asynchronous development, and advocating within the schools, to name a few, become routine challenges most parents face. But just when you think you've got it figured out and life gets a little more predictable, college looms on the horizon. But why should this be a challenge? After all, getting into college should be a piece of cake for your child. Right? She's smart, talented, gets amazing grades, and probably will ace her SAT's. Most colleges should be thrilled to accept a child like her. You swore you wouldn't be obsessive and enroll your child in "strategic" extra-curriculars starting in the first grade. You promised you would let her take the lead when the time came - after all, it is her future. And despite the school's dismal track record with her education, you somehow trusted that they had the wisdom to counsel her about college admissions. So can you just sit back and let the school guidance counselor guide away? Many parents of gifted children are blindsided by the competitive nature of college admissions. While your child may shine in his school or community, there are more valedictorians, national merit finalists, varsity sports stand-outs, and science fair winners than openings at prestigious colleges. And despite the media's critique of elite colleges, these schools often provide the best fit for gifted students - where their intellectual abilities are appreciated and classrooms are (finally!) filled with like-minded peers. In my work as a psychologist and parenting coach, I have spoken with frustrated, bewildered and sometimes heartbroken teens and families who felt betrayed and misled by their high school and the hype about colleges. Parents may have assumed that their highly ranked child would automatically gain admission to the school of his choice, and are stunned to find that he was rejected - along with thousands of other equally accomplished applicants. They regret relying upon guidance counselors, and wish they had received practical information, and had started planning years prior to sending in those applications. Many families learn much too late that the school offers little guidance - especially for gifted children. Overworked guidance counselors may provide information relevant to the majority of students, but offer little direction for gifted students. And some parents - who might have micromanaged every birthday party and who monitor their teen's activities - suddenly abandon all responsibility when it comes to college planning. It's her life; her choice. Yet, expecting your child to assume full responsibility for such a critical decision (at an age when many teens understandably lack that level of maturity) can be a recipe for disaster. How many teens have chosen a college because of its reputation as a party school, or because their friends like it, or because they visited their cousin there and love the dorms, or because they think going there will boost their self-esteem? How many 17-year-olds truly understand the financial issues involved, including what you can really afford, what loan repayment entails, and whether a particular college is really worth the cost? How many teens can assess all of these variables without your input? I also wish I had known what I know now - before my children started high school. Fortunately, I woke up to the reality that I had to educate myself about the process. The school offered no roadmap and little guidance. Online tips about college planning and information from colleges didn't necessarily apply to gifted children's needs. While my children ultimately made their own decisions, it fell upon us as parents to "suggest" what classes, tests, and activities seemed advantageous, and what colleges might provide the right fit for their academic, social, and financial needs. Gifted teens thrive in a college environment that pushes them to stretch themselves, instills a work ethic (which may have been lacking for some gifted underachievers), and encourages inquiry and creative expression. Many finally feel they can "breathe" when given the freedom to excel without fear of social repercussions. Finding a college with the right "fit" that fosters this growth and development is essential for all teens, but is especially critical for gifted students. How can you help your child plan for college - and find several colleges that offer the right fit? As outlined in Ten essential tips to help your gifted teen plan for college, it will be up to you to learn the ropes about college planning. In a sense, you will need to become a bit of an expert on what colleges want, what particular colleges have to offer, and how this relates to your child's unique needs. Develop an understanding of the relative importance of the PSAT's, AP or IB classes, extra-curriculars, and study guides for the SAT's or ACT's, along with the benefits or drawbacks of early action or early decision applications. Learn which aspects of college visits you can overlook (the tour guide's demeanor), and what is important (how your child can show "demonstrated interest"). Start early (ideally before high school begins) and read as much as possible - from college websites to online college reviews. Encourage your child to take the most challenging classes available in high school, as long as they are appropriate and not too stressful, and help him identify extra-curricular, volunteer, and academic choices that may enhance his application. Colleges are alert to "filler" activities, though, which some students use to pad their applications, such as joining a variety of random clubs that seem to have little connection to their interests. On the other hand, dual enrollment at a local college, internships, and meaningful volunteer work are examples of activities that should be enriching experiences, and make sense to college admissions officers as well. Most colleges market themselves with the intention of boosting the number of applicants to improve their statistics. They also have a profile of the type of student they would like to enroll. While they may list strict admissions criteria, there is some subjectivity, which makes decisions hard to predict. Admissions departments from highly selective colleges often speak of "holistic" admissions, or choosing students to complete a well-rounded class. When GPA or SAT score ranges are listed, be advised that unless your child fits what some describe as "hooked" status (recruited athlete; legacy status; ethnic, racial or geographic minority), his grades and scores should correspond with numbers in the top percentile for him to be considered. If your child plans to apply to a highly selective college, great grades and SAT scores are not enough. He will have to distinguish himself from the rest of the pack in some manner. This might mean one exceptional accomplishment, or a combination of achievements (such as National Merit Finalist, captain of the tennis team, lead role in the musical, and volunteering during the summer in a university chemistry lab). The more you know about what colleges realistically expect and how it corresponds with your child's specific accomplishments, the more easily you and your child can hammer out a list of prospective colleges. Information about college planning, admissions and the college itself are geared toward any student who might apply, and it may not be particularly relevant to your gifted child's unique needs. Selling points that many colleges promote - sports teams, beautiful new dorms, a new performing arts building, an appealing study abroad program - will be attractive to most students, but can distract from what is critical when determining if the college can meet your child's academic and social/emotional needs. If possible, visit the colleges your child is most interested in, ask her to get permission to sit in on a few classes, and suggest that she visit or sit in on the extra-curricular activities she plans to join once she is there. If club sports, marching band or dance are critical to her well-being, encourage her to view these events or practices to see if they spark her interest. Find out as many details about academic requirements as possible, and ask your child to envision day-to-day life. Red flags might include a long list of general education requirements; a weak honors program; few opportunities for collaborative research with faculty; large, "stadium-seating" classes; or a majority of classes taught by teaching assistants. Some colleges also make it difficult for students with multiple talents and interests to double major in certain fields. For example, music ensemble or theater rehearsal may conflict with schedules for science labs, making it almost impossible to double major in these areas. 4. Understand your child's needs and the importance of "fit"
Help your gifted teen sort out his preferences to optimize chances for finding the right fit. This includes a place where he will thrive intellectually, but also feel comfortable socially and emotionally. For example, many teens hold strong opinions regarding urban vs. rural, the relative importance of school spirit and sports, the presence or absence of Greek life, the local weather, and the size of the school. If your child was grade accelerated and is younger than his peers, finding a college where he will feel socially at ease is particularly important. Ultimately, though, access to the academic interests that appeal to your child, meaningful extra-curriculars, and other details (e.g., accommodations for twice-exceptional needs, few general education requirements, the option to "skip" a semester by using AP credits, a great job placement program) are essential elements in making this decision. Unfortunately, sometimes students are accepted into their dream school, and then are devastated to find that their parents cannot afford the tuition. Wishful thinking may lead families to assume that their child will receive a merit scholarship sufficient to cover most of their costs, or that financial aid numbers on the website estimators are wrong. It is critical to take a sober assessment of what is affordable and inform your child before he sets his sights on a particular school. While elite colleges typically provide the most generous need-based financial aid, this may not help some middle- and upper middle-class families. And take note of the difference between need-blind and need-aware colleges, as this can influence admissions decisions. If you cannot afford (or oppose the idea of paying) the high cost of tuition at a private college that does not offer financial support, consider an honors program at your state university, or a college that will welcome your child with significant merit aid. 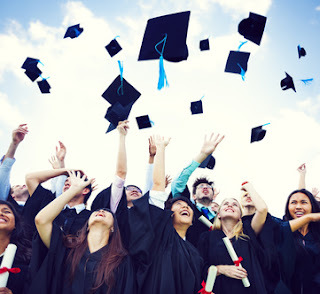 And keep in mind that some colleges offer a "free ride" of full tuition and room and board to certain applicants, particularly those who are National Merit Finalists (which is another reason to encourage your child to perform her best on the PSAT's in 11th grade, since this test serves as the foundation for achieving NMF status). In other words, be the adult in the room. You adore your child and know she has tremendous potential. But colleges have criteria and quotas, and admissions officers don't really care about what you know in your heart to be true. You might hope that your child's dream school will overlook that C in biology, or her less than stellar Math SAT score. But she will be competing against thousands of equally qualified students, and she may be shut out. "Ivy day. March, 2018. This day is marked by memories of crying so long in a vacant parking lot that someone called the police to make sure I was okay. I never thought I would be more embarrassed until I had to explain to two officers why I was alone sobbing while they tried to console me." Too many students apply to all of their "reach" schools, fail to consider schools that are more likely to be "matches," and end up attending the one "safety" school they reluctantly applied to in haste. There are many wonderful colleges out there, and you can encourage your child to apply to those that are likely to admit her and will provide a meaningful and challenging education. Even if they are not her dream schools. Both of my kids were fortunate to emerge relatively unscathed from the college application process. They encountered a few bumps along the way, but also some surprises and amazing opportunities, and enrolled in colleges that were well-suited to their different needs. My kids put in the effort; but I doubt they would have succeeded without the necessary information about these schools and the application process. Unless your child's high school has an exceptionally astute guidance department, unhurried and unburdened by an enormous caseload of students, and with an understanding of gifted student's needs, I urge you, as parents, to become informed and involved. Start the conversation early. Remaining educated, offering your own wise counsel, and staying involved is not helicoptering and hovering - as long as you are attuned to your child and respect his (realistic) wishes. Your child will appreciate it when he eventually enrolls in a college that offers the best possible academic and social fit for his needs. Such great advice. Thank you. One way to circumvent the traditional route of college admissions is to take college classes as a high schooler. Many universities and especially junior colleges allow younger students to take a few classes. Once a student has a track record with higher education credits they tend to weigh more on those than high school grades. My daughter took classes at our local state university, mostly to broaden her knowledge, and was offered a admission even though she did not have the traditional high school transcript. In fact she was missing math, and many other “requirements”. Look especially at the Honor programs as these are set up for gifted learners. The director told us that universities love the exceptional student and often will wave any impediments from the admissions office. Oddly enough my daughter is taking the highest levels of math to become a data scienentist. Go ahead and get off that merry go round and look differently at admissions and you will be noticed. Darleen, Thank you for sharing your experience with your daughter and letting us know how beneficial dual enrollment was for her. Many gifted kids outgrow what high schools can offer, and college is the next best step. Some school districts offer this as an option; others do not. However, there may be ways that parents can advocate for this as an option, even if not readily available within the district. Gail. Your blog is so full of such detailed and excellent guidance for parents. You are such a valuable resource. I continue to refer clients to your blog. Thank you! Paula, Thank you for your kind words! For people who have not been through the college process yet, I'd highly recommend the book "Admission Matters: What Students and Parents Need to Know About Getting Into College" by by Sally P. Springer, Jon Reider, and Joyce Vining Morgan. The 4th edition is the most recent version. The book provides a comprehensive overview and guidance for the college application process. The best time to read it is before your student enters high school. I discovered this book just after my oldest child started college. I wish I had known about it sooner. And to add to the comments above, trade/technical/art schools options need to be made available to all students, gifted included. There is a mindset that has been extremely prevalent that "every child needs to go to college." This has done a terrible disservice to a great many students. Many would be far better served by going an alternate post-high school route. We tend to automatically push gifted students to traditional colleges without even considering that their talents may be far greater enhanced by a non-traditional approach. Thank you, Cathy. This clearly reflects the need to approach each child individually and assess their unique needs - not some cookie-cutter, broad-based recommendation that is based on widespread assumptions of what students should do. As you so importantly note, there are many options in addition to traditional colleges. Thank you.